Today is my last official working day in the Navy, but I'm spending the day in Bethesda getting allergy tests. I'm not sure if this is a winning situation or not. If you were here on Wednesday you saw me bitchin' about the fact that I keep sneezing cause I'm not taking my allergy meds so I can get accurate results on my tests. Really though, it's miserable. My eyes, my sinuses, my throat, my nose.. My allergy cocktail ensures I don't have these issues and I can sleep at night (literally). If I was at work, I'd be at a safety standarounddown, so really, maybe I am winning? For my unofficial last day of work, I got to ride the MH-60R (a Navy helicopter). Originally we were supposed to fly into DC, but due to some issues, our take off was delayed and we had to come up with a different idea instead. So we flew up the Patuxent River and I got to pretend to be on a SAR (search and rescue) mission... TO INCLUDEEEEEE getting to steer the plane from the back. Don't even pretend like that's not awesome. So essentially, my unofficial last day in the military was the most awesome day of the entire 6 years I've been in. I had a huge grin plastered across my face the entire time, except for when we realized there were issues and I thought I wasn't going to get to fly at all. PS. Expect a post on this with all the fun photos I took (I just didn't want to overload the Friday post with pics). 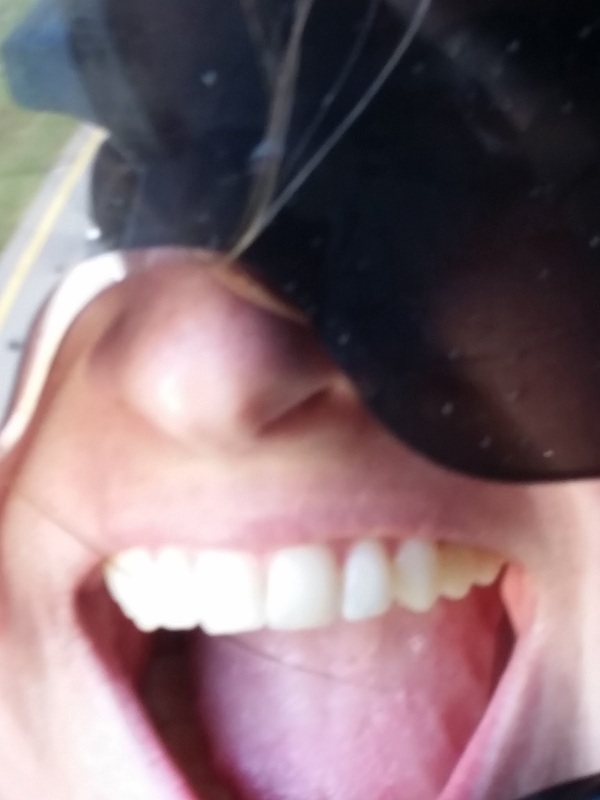 Ok, just one photo: my overly zoomed in excited face. 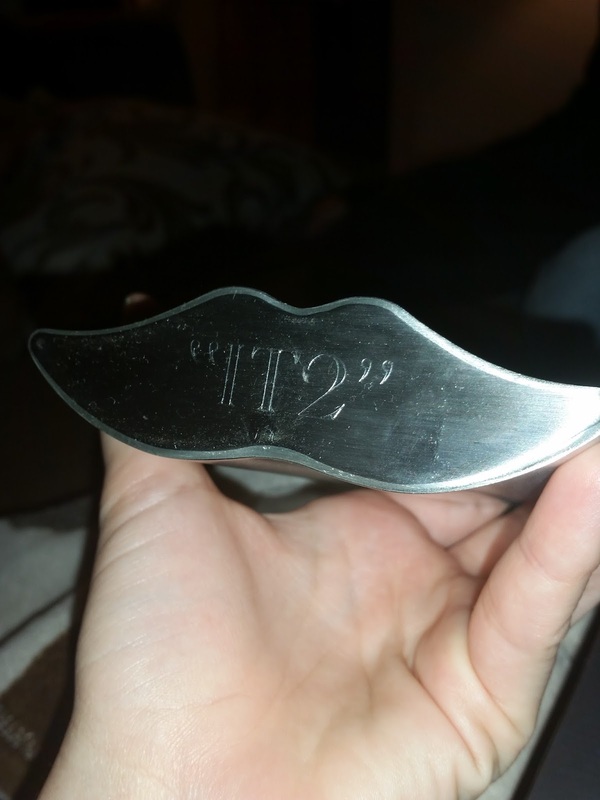 My going away present from work was an engraved mustache shaped flask. It is full-o-win, even if it does say "IT2" on the bottom. Which is funny now that it doesn't apply to me. This is will be my last SoMD weekend. I'm equally sad and excited about it. I'd tell you all the fun things we have planned, but then that would ruin the surprise for Monday.. but do know, it includes a color run, fall activities, a road trip, and one last Red Robin trip. The job search is still ongoing and still painful. Seriously. I just want to be employed. Why is that so hard?!? That sounds like an awesome last day. Enjoy the last SoMD weekend! Allergies are the worst! Hope they get it figured out. 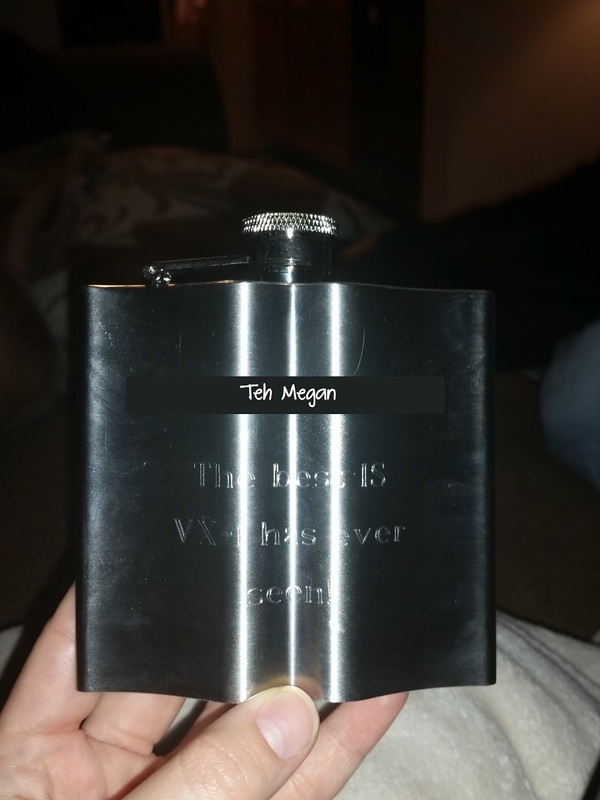 Sounds like an awesome last day and that flask is amazing. Best of luck job hunting! Girl I feel you on the job hunt! Good luck! I can't wait to see the helo ride pictures! I got to fly in a CH-53E (one of those huge troop transports jobbies) from a carrier into Bahrain & it was the coolest trip EVER !! !